The Artist is a new TV promo For SABC1 depicting a continual dialogue between the two worlds of television and culture. The story is told through the life of one artist who, from the age of five, is inspired to draw by the images he sees on TV. As we see him getting older, so TV starts to reflect his art back to him, and becomes a part of his rise to success. The brief from advertising agency Open Co was to make a commercial in the style of a music video, that showed how TV and life are one and the same – different sides of the same coin – each influencing the other on many different levels, explains producer Ashley Kadish from Fresh Eye Film Productions. In keeping with the concept that life and TV influence each other, the creators used an up-and-coming street artist, Skubalisto to create the artworks, with the intention that the exposure would enhance his career, and therefore be a true account of how TV and life interact with each other. The song similarly features three emerging local musicians, Fifi Cooper, Kwesta and Nasty C.
“This story should take the viewer on a journey that shows the rise to fame, and subsequent fall from grace, and eventually coming back to their senses, inspired once again by SABC1, and realising that family is everything,” describes Kadish. Creators wanted to represent this story rather than be literal. 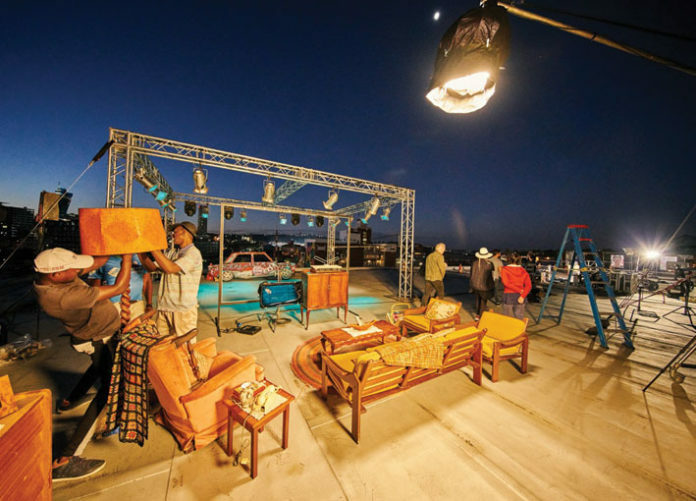 The commercial was captured on a rooftop seven stories high, in Maboneng, Johannesburg. It was shot on an Arri Alexa, using old anamorphic lenses, which gave the gritty film quality look they were after. The feeling or realism was augmented throughout by the use of handheld camerawork. It was filmed between sunset and sunrise on one night, Saturday 16 March 2016. “We had to be disciplined without set changes, and it worked more like a theatre scene change than a film set. This was how we managed to get through the amount of scenes involved in the TVC,” says Kadish. Co-directed by Jonathan Parkinson and Nicole Ackermann of PHI with DOP Jamie Ramsay. The TVC aired for the first time on Friday 6 May. The challenge was to portray the story as everyone envisioned it: “Something that was representative and exploratory, using simple sets to represent each environment against a night-time backdrop of the city,” explains Kadish. 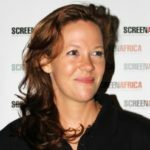 “Part of that challenge was that this way of approaching the storyline had to make sense to the audience, providing links between the real world and the world of SABC1,” she explains.